The NNBA was founded in 1985 by David Norris, a critical care nurse from California. 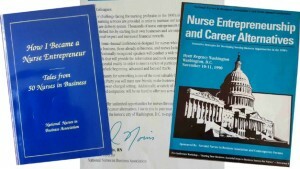 Initially a newsletter known as the Nurse Entrepreneur’s Exchange, it provided information for business minded nurses and a forum for them to connect and share information. This grassroots movement quickly evolved into the National Nurses in Business Association. True to the initial design to provide a networking arena for nurse entrepreneurs and to update nurses on business opportunities, NNBA now included national educational conferences, workshops and seminars. Past presidents and leadership of the NNBA include: Kay Davis, Ed.D, MSN, BSN, Pamela Buckman, MSN, BSN, Laura Gasparis Vonfrolio, RN, PhD., and Patricia Bemis, RN, CEN. Since 1985, thousands of nurses looking for a change, desiring more freedom, and becoming their own boss, have chosen to advance their careers by becoming members of the National Nurses in Business Association. You will be joining and networking with nurses who have transitioned into the business world over the past 30 years, as well as nurses who are currently transitioning into new professional careers. 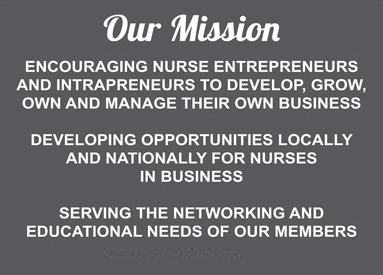 Our veteran members’ resumes include thousands of nurse-owned businesses, awards, and millions in revenues. The experience, knowledge, and impact of our community is amazing-as well as the support that is provided to fellow nurse entrepreneurs and aspiring entrepreneurs. You will have the opportunity to make incredible and meaningful connections by networking with other NNBA members who share your interests and passion.